Indre by Design is your go to for original mid century modern. The company’s owner, Kate; has an eye for the best designers and will be the first to tell you the story behind each piece and her travels to find it. You can visit her stunning showroom by appointment in Houston or shop online! Husband and wife team, Megan & Todd, met through Craigslist as Todd had a beautiful mid century modern piece Megan was interested in for an interior design project. Aren’t these beautiful? Someone needs to snag these before they’re no longer!! Charish is the BEST for one of a kind finds. Each piece is unique, vintage and quick to go! You can even up-cycle your old furniture by consigning with Charish! 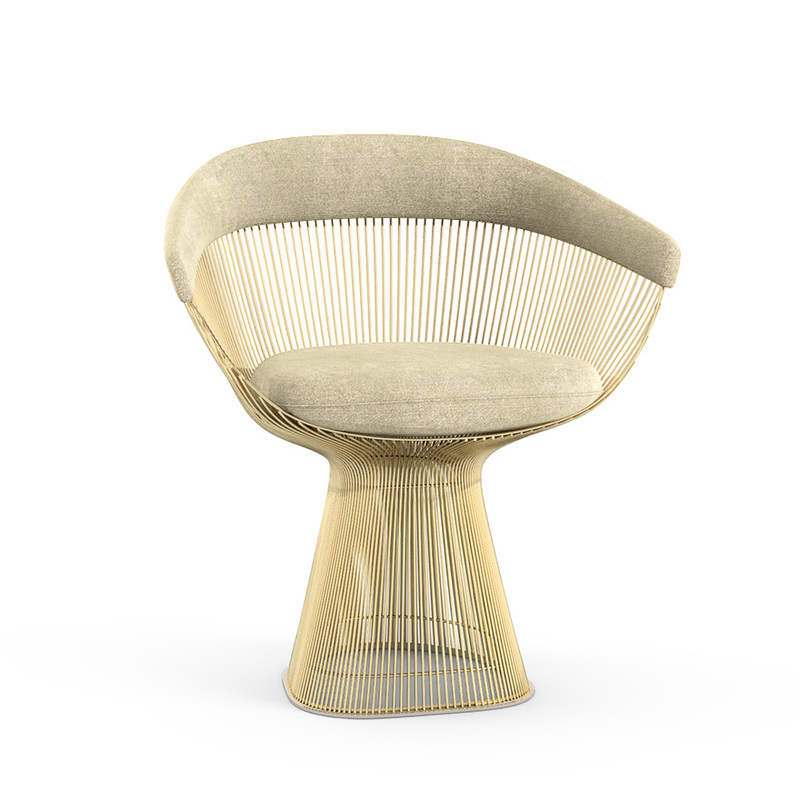 These gold Planter Arm Chairs are elegant, modern and classic! Everything knoll makes is quality. Their craftsmanship is one of a kind. We’re fans of their clean lines contrasted with organic forms. If you have extra pennies and only want the best, Knoll is your place! Love how @ericonavazo styled her Knoll Chairs! We discovered these guys on instagram and saved way too many of their photos! Mid Century Mobler is the largest modern furniture dealer in Northern California and their showrooms hosts originals from Denmark, Sweden, Norway, Germany, England and Scotland. Check out their showroom in Berkeley, CA if you’re the area! Pretty sure the Aspen Sofa is 100% perfect. The rounded wood finish and raised back cushion are reminding us of 80’s decor that we actually liked! Jonathan Adler is our go to for bold and unique furniture. His color palette is always on point for a modern home. P.S. You gotta see this Egyptian inspired… Gold Reform Credenza! We are big fans of One Kings Lane (well, we do sell our bunglo home decor on their site and all :)) But seriously, One Kings Lane has the best finds! Think about it, 20 years ago, we had to actually GO to garage sales! Remember how you had to find the addresses in the paper? Getting lost without GPS? Great news! We are the technological age! We can basically shop estate sales from bed! AND, One Kings Lane has already done the digging for you! They sell everything from artisan brands, vintage finds and of course, bunglo! What are your favorite spots to shop modern furniture? We’d love to know! Comment below. Previous Travel: The Beverly Hills Hotel – A Modern Chic Getaway with the BEST Decor!